Receive senior living support right to your email! 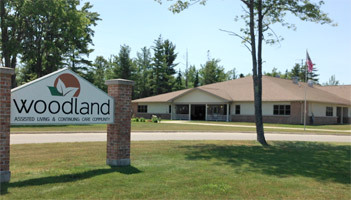 Woodland Assisted Living & Continuing Care is a senior living community located in Manistique, Michigan. Our professionally trained and caring staff are dedicated to providing the very best to our wonderful residents. We offer a variety of customized care programs along with daily activities to maintain a high quality of life. Please feel free to contact us with any questions or concerns. Thank you for visiting our site! To make a positive difference in the lives of our residents by personalizing care, encouraging independence, preserving dignity, protecting privacy, and fostering friendships.